Just when you think I’ve run out of ways to report on new ways dogs are working as assistance/therapy dogs…I introduce you to Flossie. Appropriately named, Flossie is a dental therapy dog. At the 10,000-square-foot Virginia facility, Golden Pediatric Dentistry & Orthodontics, Flossie is free to run around with one job: to make people comfortable wherever they are. Flossie has been coming to the office since she was 8 weeks old in 2012. With the success of Flossie, Dr. Golden said he’s been considering creating a resource for dentists who are interested in using therapy dogs in their practice. 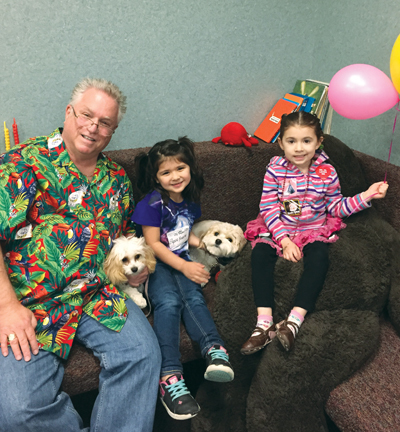 Flossie, a Cavachon (Bichon Frise/Cavalier King Charles Spaniel cross), received her therapy dog certification from the Alliance of Therapy Dogs. New patients are informed that Flossie works at the practice so they are ready for her presence in the office when they arrive. For patients that are particularly frightened of dogs, or who have severe allergies, Flossie is sent to her official resting area, which is fenced off and has a dog bed. Dr Golden’s partner in practice is so impressed by what Flossie brings to the practice that he has his own dental therapy dog in training, Lexa. Say ‘therapy dog’ and most people will think of hospitals, rest homes, and mental health services. Some may also think about dogs supporting witnesses when they have their day in court….but now there’s a growing use of therapy dogs in funeral homes. This video, from the Ballard-Durand funeral home in New York, promotes Lulu, a Goldendoodle, who can be booked on request for funeral services. The loss of a loved one and funerals, in general, are times of great emotional stress. How nice it is that dogs are offering comfort in these situations and that they are being accepted by professional funeral directors. 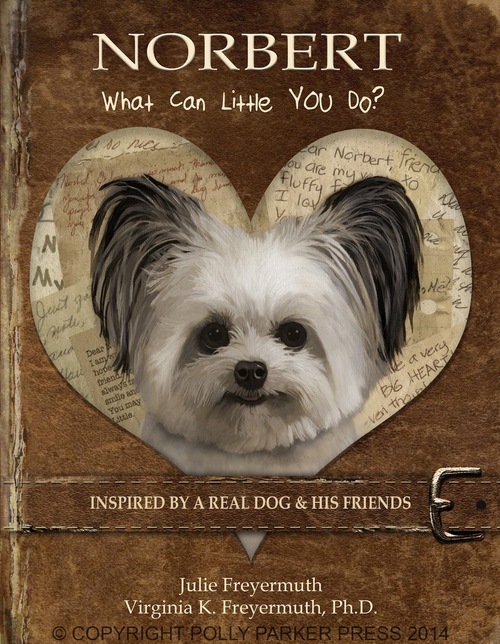 I love it when we hear about dogs who are able to use their instincts, talents and charm for good. There is a growing body of knowledge about how the company of dogs can assist with human therapies. In this video, the pet therapy program at HCA Virginia’s Chippenham and Johnston-Willis hospitals is featured. Meet Fraser, a Black Labrador/Golden Retriever mix. Fraser’s canine colleague, Schaffer, doesn’t feature in this video. But, as full-time employees of HCA Virginia, the dogs receive benefits which include supplies and paid veterinary care. In today’s world, literacy is an essential life skill. 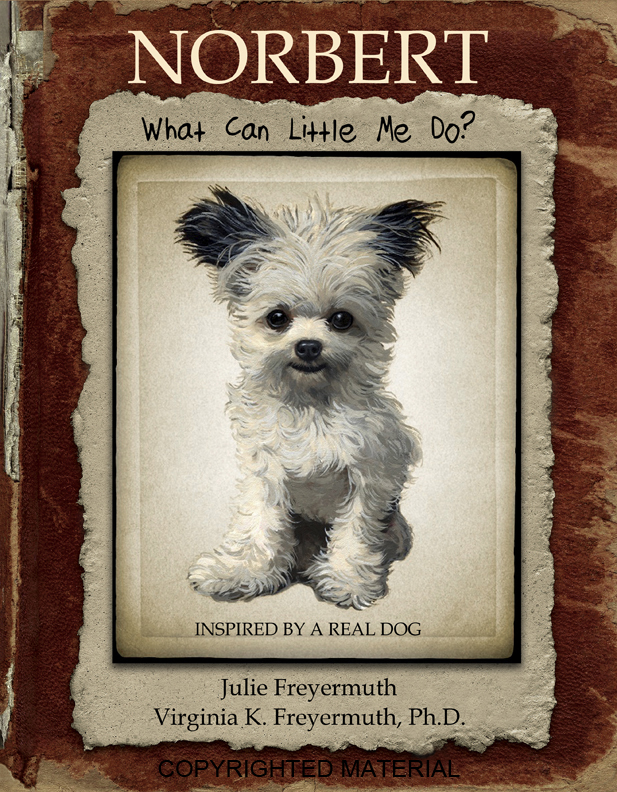 Did you know that dogs are being specially trained to help children learn how to read? The Reading Education Assistance Dogs (R.E.A.D.) 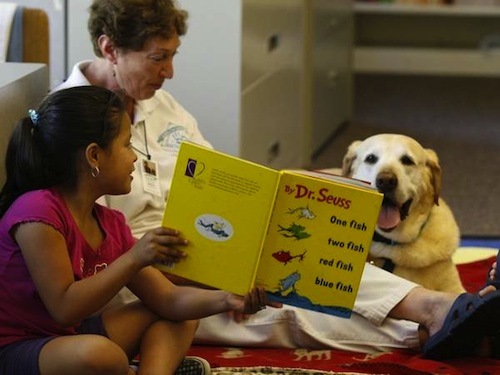 programme operates in the United States, United Kingdom and Canada and aims to improve reading and communication skills by allowing children to read to a dog. Dogs are non judgmental companions who allow the children to read aloud and gain self esteem, while practising their reading skills. R.E.A.D. 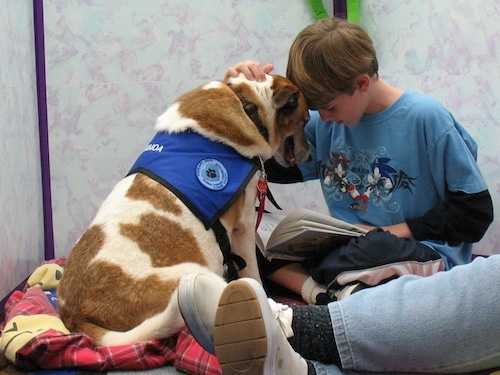 dogs are registered therapy animals who volunteer with their owner/handlers and they visit schools and libraries and other venues. In tracking the effectiveness of the programme, schools are asked to report back on reading test scores of the children involved. Libraries schedule the R.E.A.D. visits as special events, and watch the children flock in to participate. Attendance numbers are also tracked. Patrick Barkham of The Guardian Weekly recently published an article about Danny, a greyhound R.E.A.D. dog in the UK. 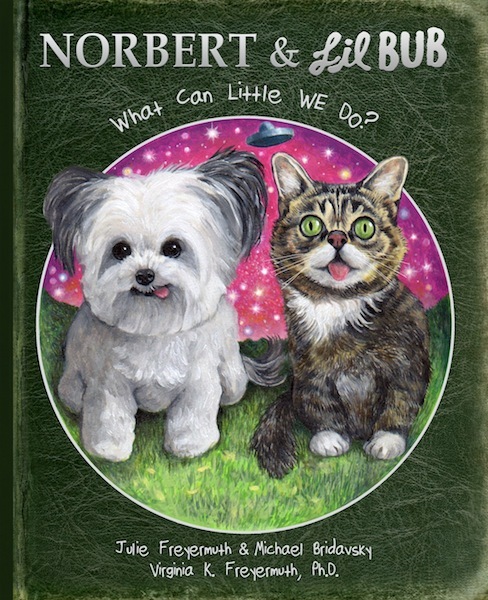 Read The dogs who listen to children reading. R.E.A.D. chapters have various requirements for dogs and their handlers. 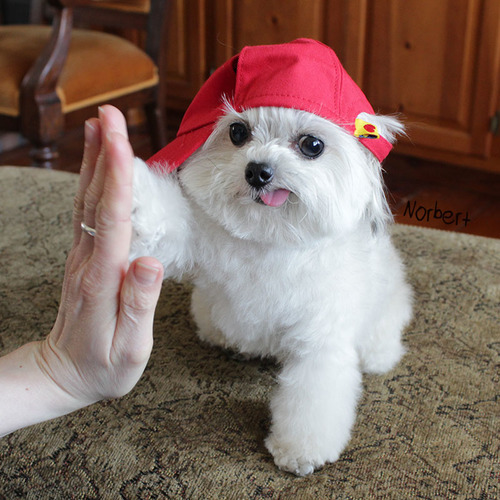 All dogs must achieve therapy dog qualifications which test their obedience, temperament, and sociability. Most dog handlers are required to attend training courses and this is augmented by on-the-job mentoring and coaching.